Our stylish and hygienic bins are a brilliant addition for any medical environment. Designed specifically with hospitals in mind, they come fully loaded with a quiet and heavy duty pedal for hands-free use. You won't have to worry about a squeaky pedal waking up sleeping patients with our bins. They are easy to clean which makes them perfect for medical surroundings with all the health and hygiene checks. You are able to use plastic sacks inside the bins, to make emptying and cleaning them a breeze. The bins even have a deodorant block holder which helps combat odours, so you can be confident you won't get a waft of bad bin aroma knocking you back. The tight fitting, pedal operated lid also assists in containing odours that may be lurking in the bin after depositing waste into it. 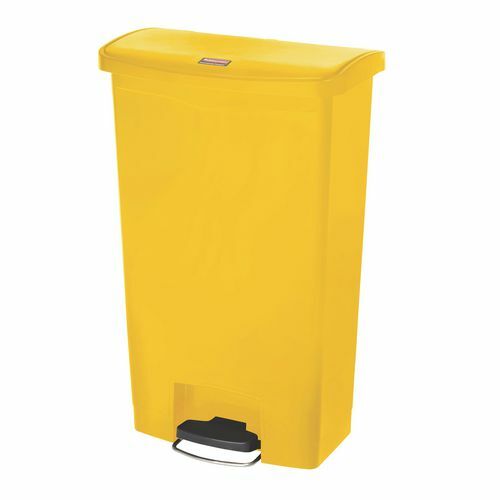 Our bins are available in 30.5L, 45.5L, 68L and 87L and they come in Yellow which makes them stand out, meaning they're ideal for use in areas where safe and careful disposal of waste is essential. Even better is that they have FREE Delivery and Price Guarantee.